ODDulent Global Marketing specializes in Web Design, Web Development, Social Media Marketing, Pay Per Click Management, Search Engine Optimization and Music Marketing. We employ a highly skilled and diverse team of individuals that are well versed in solution oriented results because we know that losing clients or prospective clients to the competition will affect your bottom line. Therefore, our highly trained team will deliver the perfect solution that will increase your level of success. 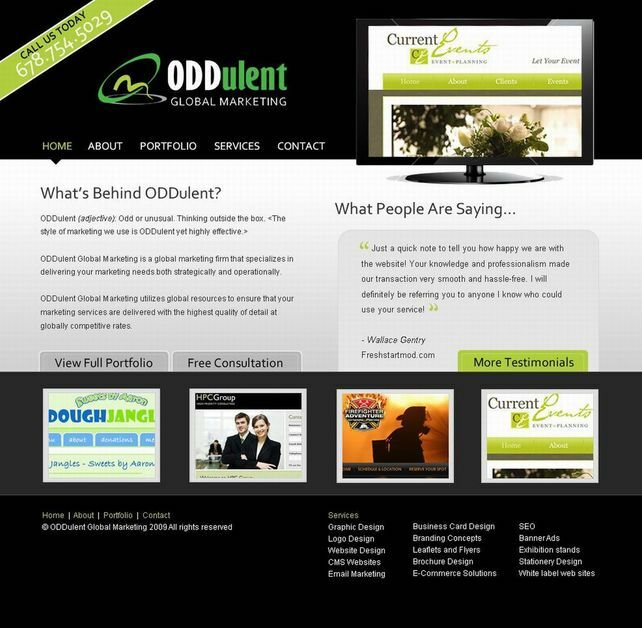 This is the redesign of our site oddulent.com This is just a sample of the creative direction we bring to manifest our clients' vision.